I have a quick question about the heatsink installed in my Precision T3500. There seems to be 2 different heatsink's that may be installed depending on the CPU's TDP. Now in my T3500 I have the smaller heatsink with no heatpipe's but since the CPU installed in it is the Intel Xeon W3550 (130W TDP) should it not have the bigger heatsink with the heatpipe's? I am very interested in knowing the answer to this as while I am writing this post my CPU is basically idling but it is almost reaching 50 Celsius. I would replace the heatsink with the high performance one. 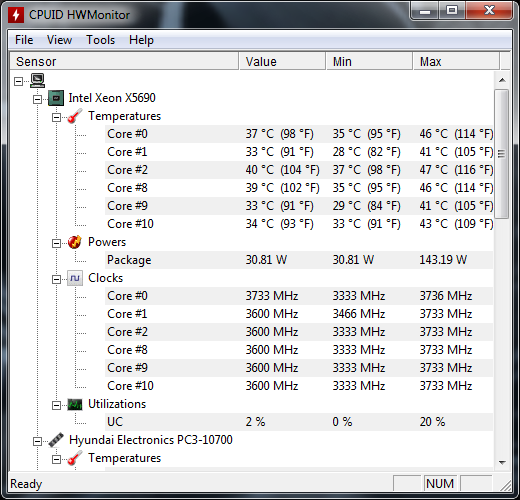 I have 2 T3500s: One has a W3520 Xeon, (TDP 130W), which has the high performance heatsink and idles between 38 - 41 Celsius. The other has a X5650 Xeon (TDP 95W), which has the smaller heatsink and idles at even lower temps. I just ordered the 130W rated heat sink since I just upgraded from x5650 to an x5690. 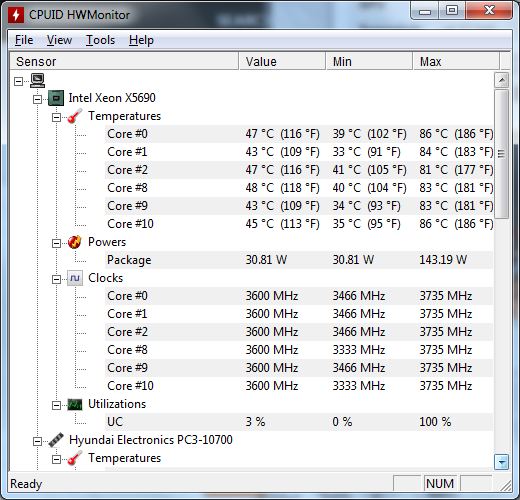 I'm currently using the 95W rated heat sink, and I idle at 45C. Hopefully, I'll be idling in the 30s when this comes in. 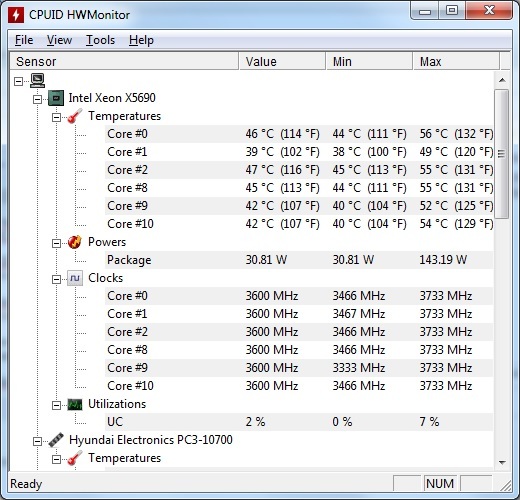 I upgraded my heatsink to the U016F copper/aluminum model, and I'm now idling in the high 30s instead of mid 40s. I will now stress test and see how high it will go. Update: I finished the stress test, and I peaked at 86C which is better than 90Cs, but it's still over Intel's specification of 78C maximum operating temperature.